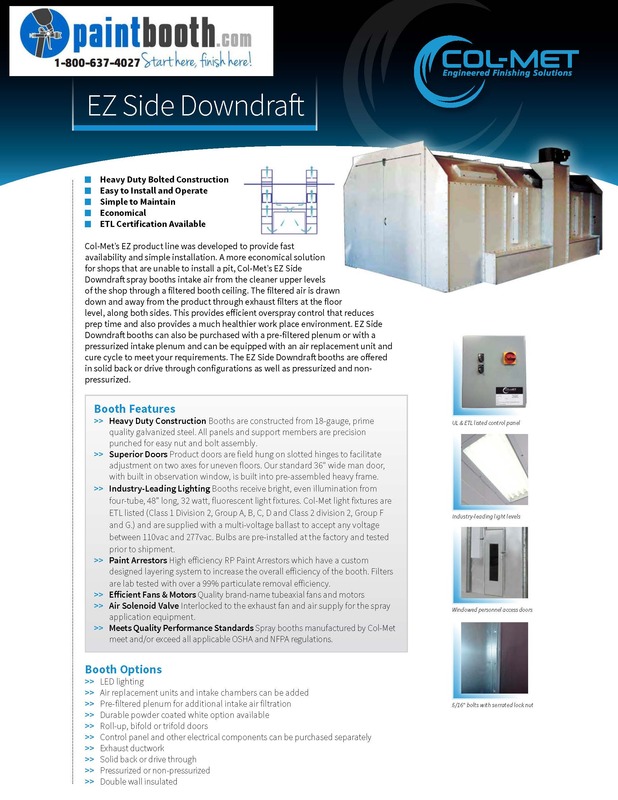 A side downdraft paint booth is a perfect solution for shops that cannot install a pit. 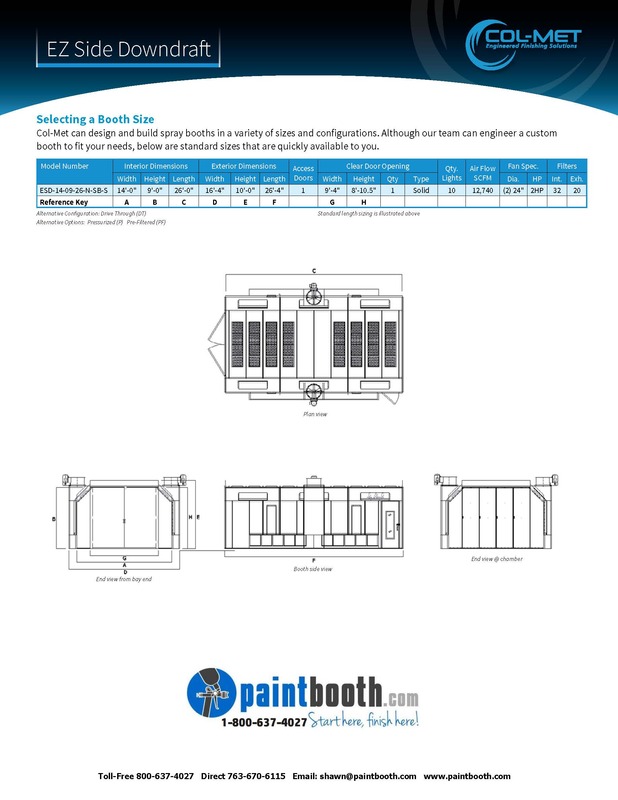 This model is designed to efficiently draw filtered ceiling air down through the booth, supplying the inside with clean air. 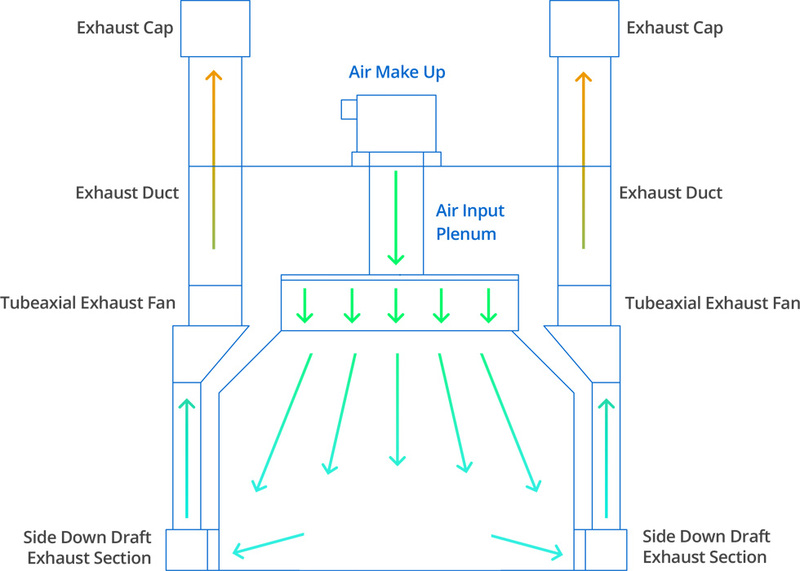 Instead of drawing the air into a pit in the floor, filtered air is drawn down the walls of the booth on both sides. 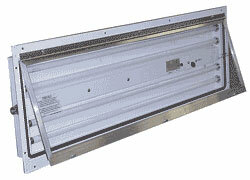 Each side wall of the booth contains an exhaust fan and a filter bank to capture the overspray. With this design the air flows evenly to each side of the cabin. 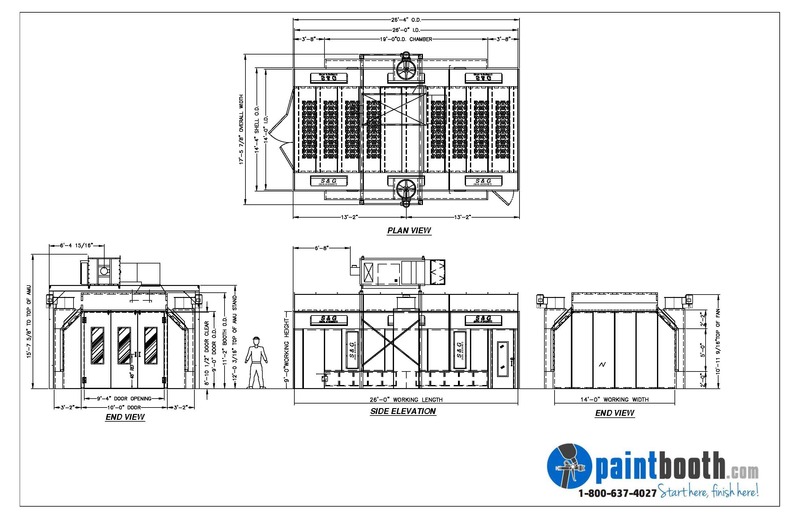 Our side downdraft spray booth line is offered in a several standard sizes and configurations, which include pressurized, non-pressurized, solid back, reverse flow and drive thru designs. 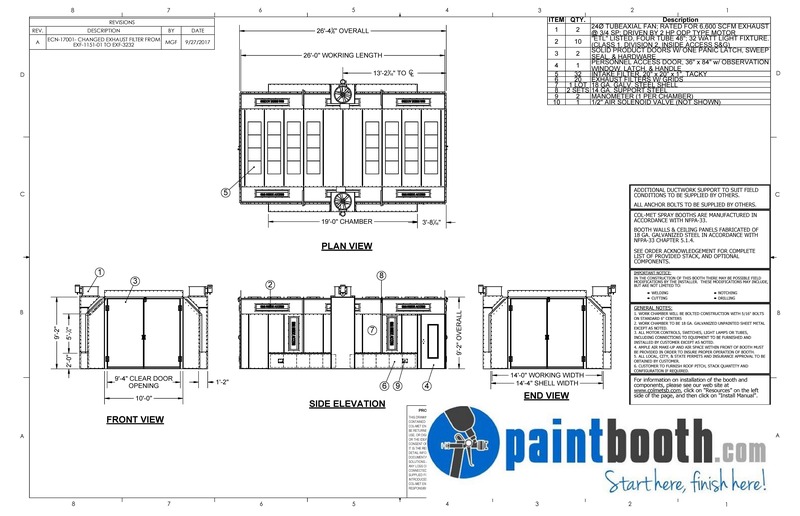 Our factory trained installation crew can get your new Side Downdraft Paint Booth installed correctly and quickly.